Summer time, the living’s easy… Yes friends, it is Memorial Day Weekend and the start of the official BBQ season. To be honest, I thought we had one more week until the holiday until the other day, so you almost got this post a week late. Oops. 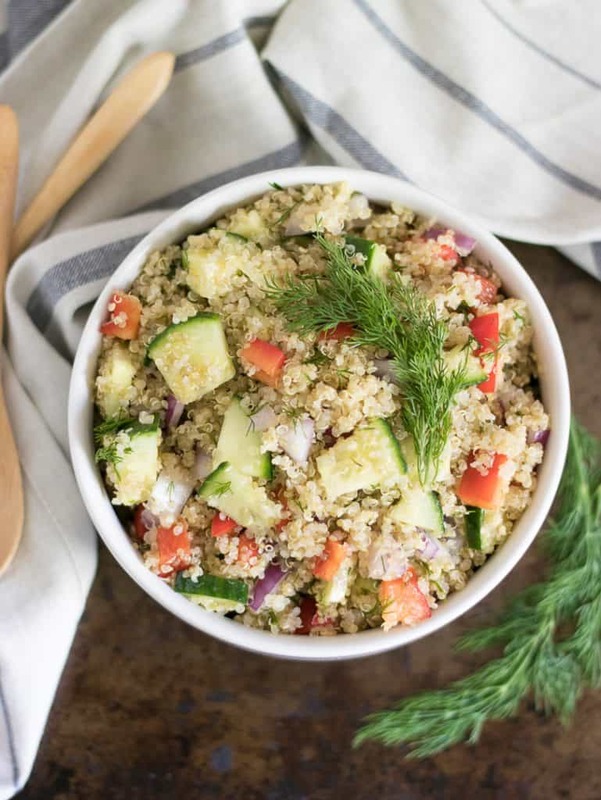 But don’t worry, I am on track now and bringing you a quick fresh list 10 Simple Summer Salads + Sides from the blog! 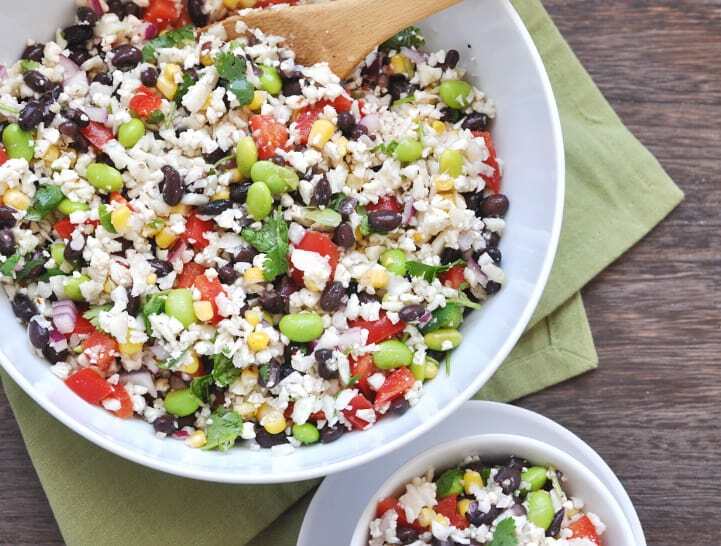 These will be perfect for any potluck, graduation party, or BBQ you hit up all summer! I was going through all of my old recipes on here, (trust me, some of these are ANCIENT, but still totally delicious even if the photo is a bit outdated) and realized I had a lot of salads and dips that I completely forgot about. 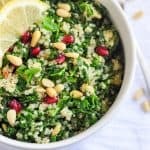 The funny part is when most recipes go live here, they are my current favorite so I can’t even imagine not making it every other day, but then it somehow fades with the next craze. This list is a perfect place to keep them all in one place as a reminder to make them more often versus finding them randomly in the archives. You will find simple tossed salads, pasta salads, dips and more. 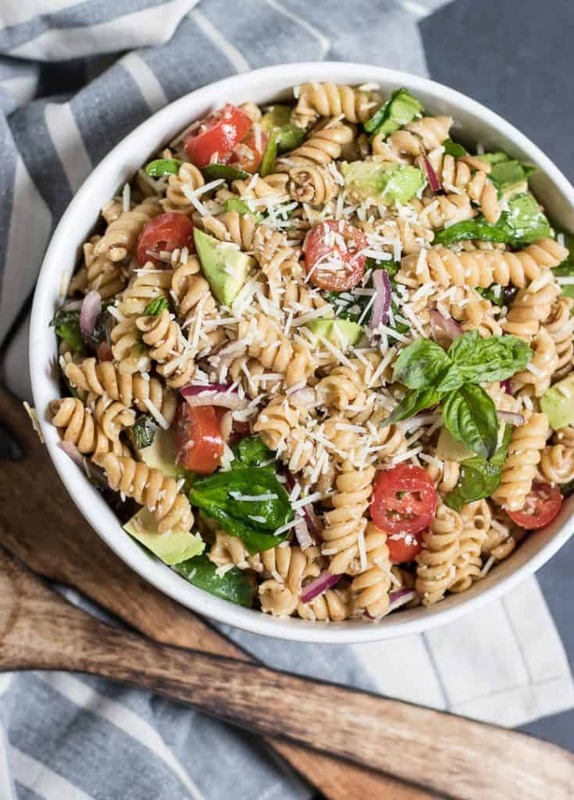 While I didn’t order them in any specific way, the Tomato Basil Pasta Salad is my absolute favorite so it did make the cut for first recipe. The keyword on all of these is SIMPLE. No one wants to spend any extra time in the kitchen where there is a pool to be dipping in, right?? 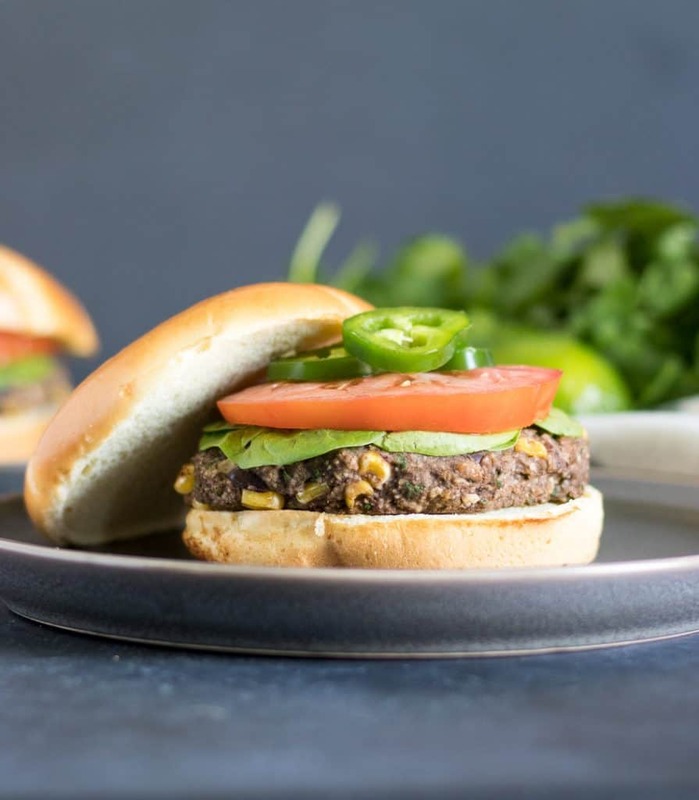 Aaaaand, there’s a little bonus recipe to throw on the grill as well this summer. So get ready for splashing in the pool, sips of lemonade, ice cream cones, flip flops, and so much more! And while you are at it, always show up to the party with something really good to share! These are my FAVORITE all summer. 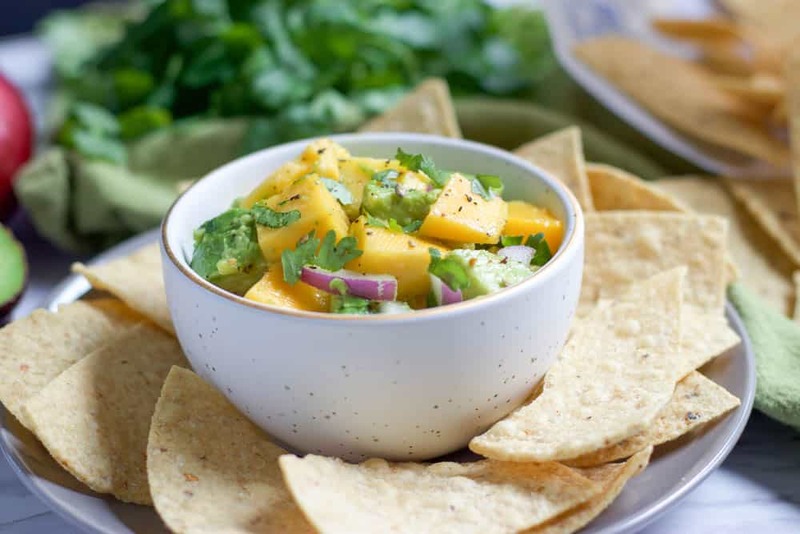 I make a double batch and then freeze them uncooked so they are ready to toss on the grill anytime. Always looking for new side dishes to serve. These can become full meals or for sides which works really well. 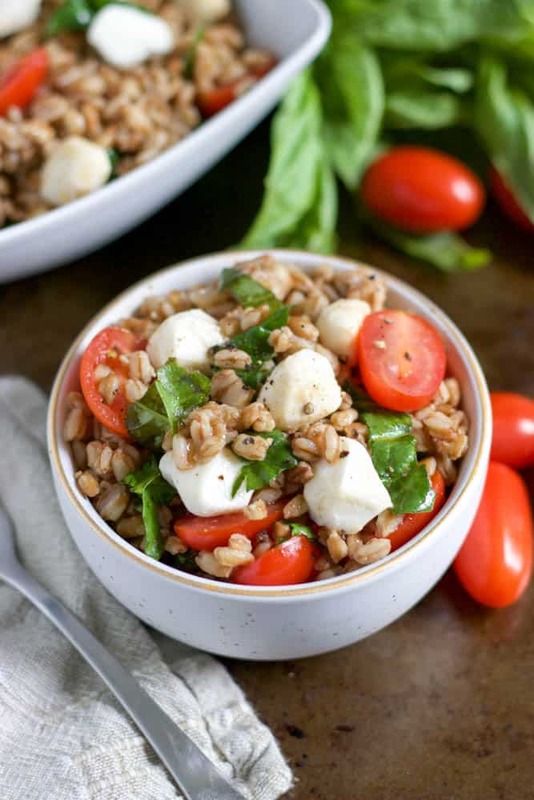 The Tomato Basil Pasta Salad looks great! I need different options to take to picnics so this will come in handy. I bring it to so many picnics and it’s such a hit. 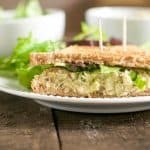 There are some really unique recipes in this list! I have a bunch of summer picnics coming up. I’d like to try some of these salads. That avocado peach caprese is speaking to me! What a smart combo! Adding to my menu, for sure! Yesssss. Gotta grab some peaches this week! I would love to try all of these! 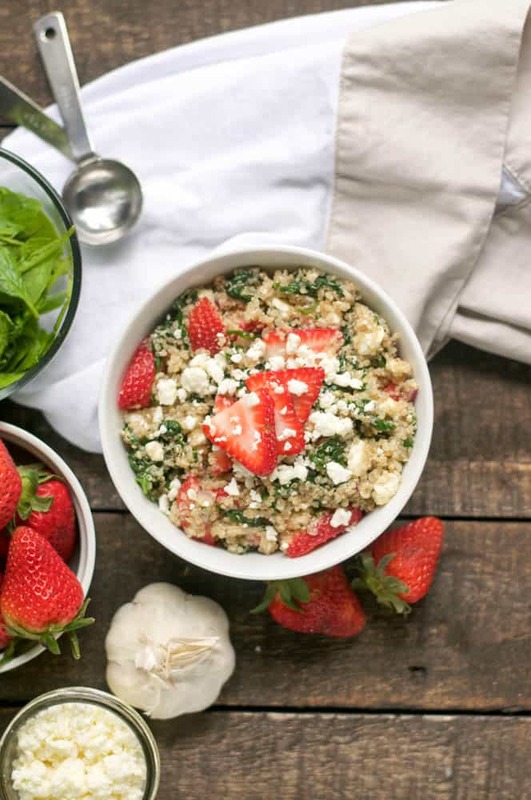 The strawberry feta quinoa one sounds amazing! That’s one of my FAVES!!! Ooh! I love caprese salad! I wonder if it would work with quinoa to make it GF? They look delicious! I love cold summer salad, can’t wait to try the strawberry one. Strawberries for the win!! Thanks! These look AMAZING! I think I just broke the pin it button on my computer, I saved so many! 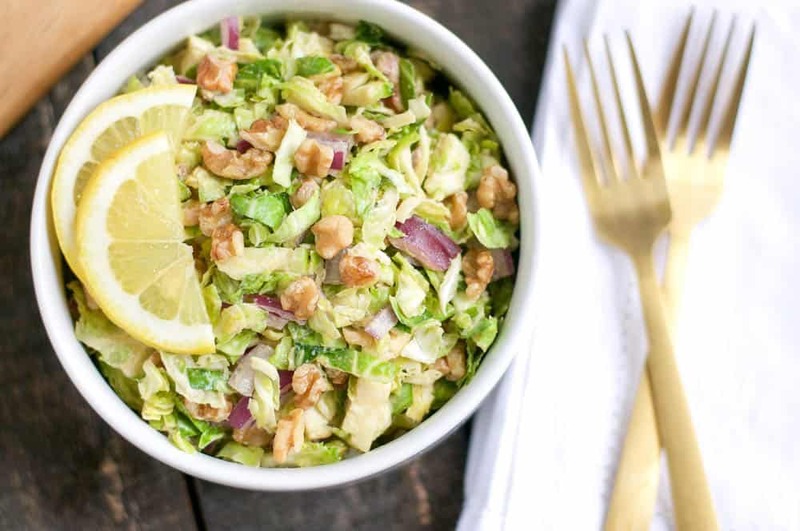 Um, I want to make ALL of these salads…immediately! They all look so delicious and definitely not boring. 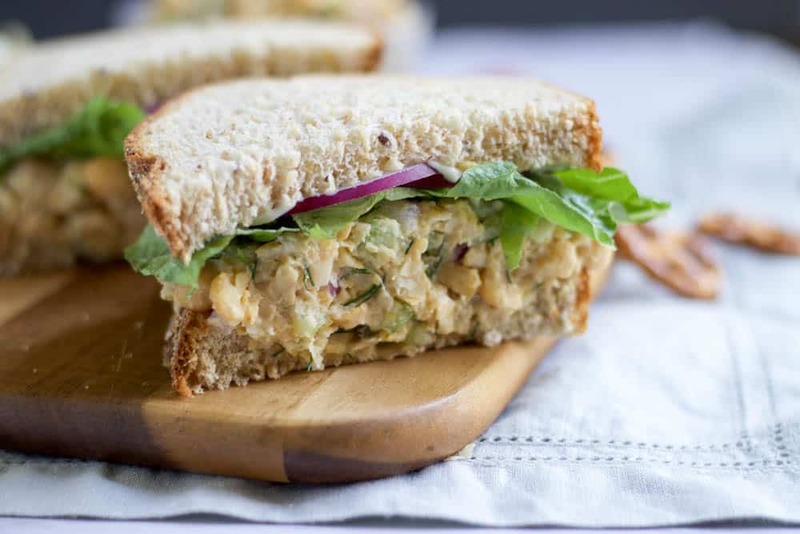 And that Vegan Chickpea Mock Tuna salad is very intriguing. I think I’ll try to make that one first. Thanks for the yummy ideas! The mock tuna is my fave. I make it and spread it on crackers to bring as an app to parties and they always go so fast! Pinning this! These would be so easy for me to make in our tiny trailer, thank you for sharing! You bet! And simple is key for you I’m sure! I love how simple, yet perfect these sound, especially for this weekend on Memorial Day! 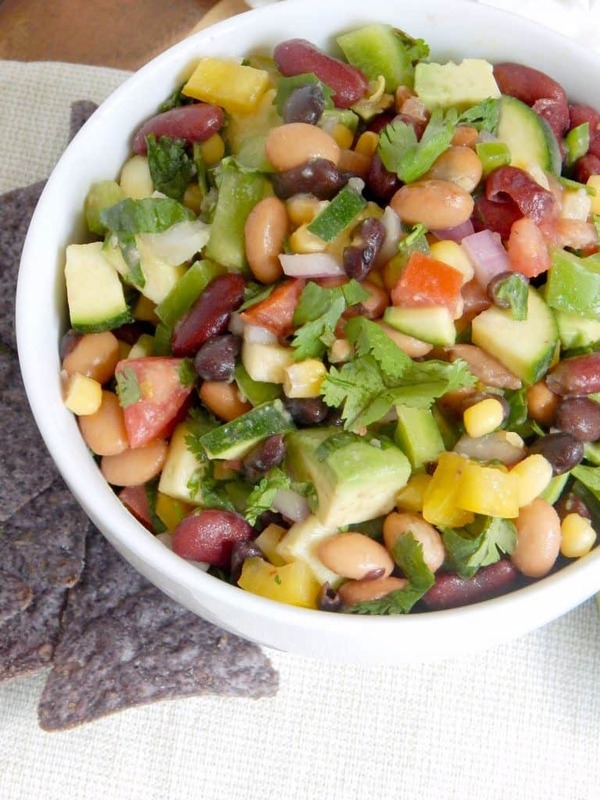 Such variety and all of it looks so colorful, refreshing, and easy to make!! Saving this so I can come back and make these! Hope you love it Nikki!